Life Safety & Security, Surveillance, Alert Systems Indianapolis & Fort Wayne - Fairchild Communication Systems, Inc. Protect Your Business, Employees, Customers and Company Assets with State-of-the-Art Life and Safety Systems in Indianapolis and Fort Wayne. First, we listen. We listen to your goals and objectives in order to have a clear understanding of your Life Safety and Security needs. After a complete analysis, Fairchild Communication Systems, Inc. will partner with you to link your needs with our expertise and practical solutions, from design and engineering, to planning, installation and hands-on technical support. A leader in Life Safety and Security Systems Integration in Indianapolis and Fort Wayne, we see the bigger picture, allowing our highly-trained and experienced professionals to focus on your comprehensive needs when it comes to providing a safe and secure environment. Our main focus is developing a timely integrated system that fits your design, budget and most importantly, making sure you’re fully connected and protected. Whether your business is small or large, or if your needs are simple or complex, Fairchild Communication Systems, Inc. will provide you with direct access to our cutting-edge products, safety systems, alert systems, surveillance and certified technicians, who are eager to deliver a broad range of comprehensive solutions. More importantly, we’ll move your needs forward through cost-effective planning, designing, installation, implementation, service, and maintenance for the following safety and security products and solutions that will protect your employees, your customers and your business assets. 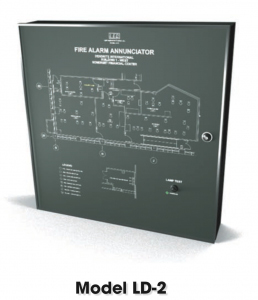 The fire alarm system is an integration of several devices and systems to detect and warn people through audiovisual appliances in case of smoke, fire and other emergencies. They may activate automatically or manually from specific call points. The video surveillance system enables administrators to secure premises and properties through capturing and recording images and high-quality video footage and transmit them through data links to output monitors. An intrusion detection system is essential to save networks and valuable data from unauthorized access and vulnerability. The system monitors and prevents malicious activity or policy violations. Any events such as a data breach, are automatically reported to an administrator or collected for further analysis. Access control systems allow restrictive access to private and restricted premises to ensure full security of the property. It uses an authentication system using a PIN, smart card or biometric signatures. Mass notification or emergency alert systems allow organizations to send alerts through different communication channels to ensure the safety of employees, customers and business assets. The alerts can be sent through many channels including mobile phone, computers and digital signage. Let our Central Monitoring with a UL/FM approved provider deliver around-the-clock alarm-signal monitoring and reporting to help keep your people and property safe and secure. It’s your responsibility to protect the safety of everyone who enters your building. If you haven’t recently reviewed your test and inspection contracts and services, Schedule a FREE Survey & Quote of Your Systems TODAY! A Fairchild Communication Systems, Inc. Service Representative will contact you to schedule a review of your current services, survey your systems, and provide a no-obligation estimate. Contact us for all your Life & Safety System Integration needs.